Beside my new favourite roti shop “Sally’s” on Wellington Street, and just the next alley over from Antique Alley, you can now find an artist’s alley. Local artist David Dossett told landlord Bill Bishop of his vision to transform the old alley and courtyard into a faux French street. 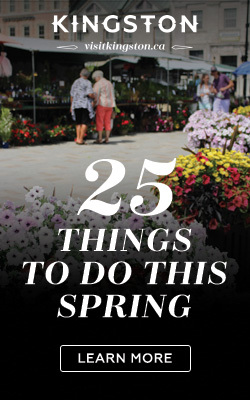 Bishop was interested, but when Dossett began painting the asphalt pavement to look like cobblestone, he was so impressed he told David that he could do what he liked with the space. 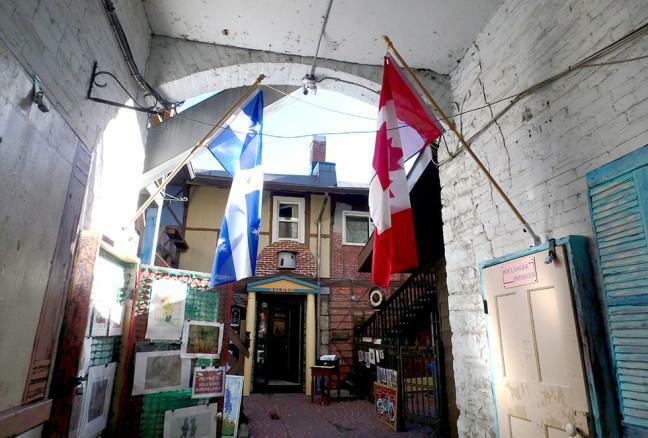 A Quebecois flag flies next to the Canadian one, recalling its inspiration from rue du Trésor in Quebec City. 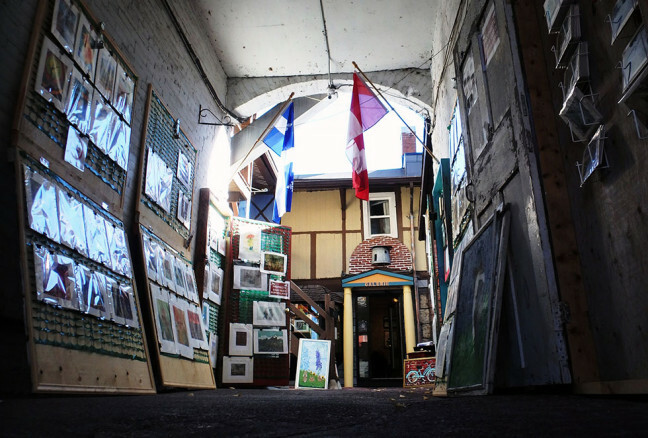 A variety of prints, paintings, and postcards are hung in the alleyway. The cases close at night to look like French windows. 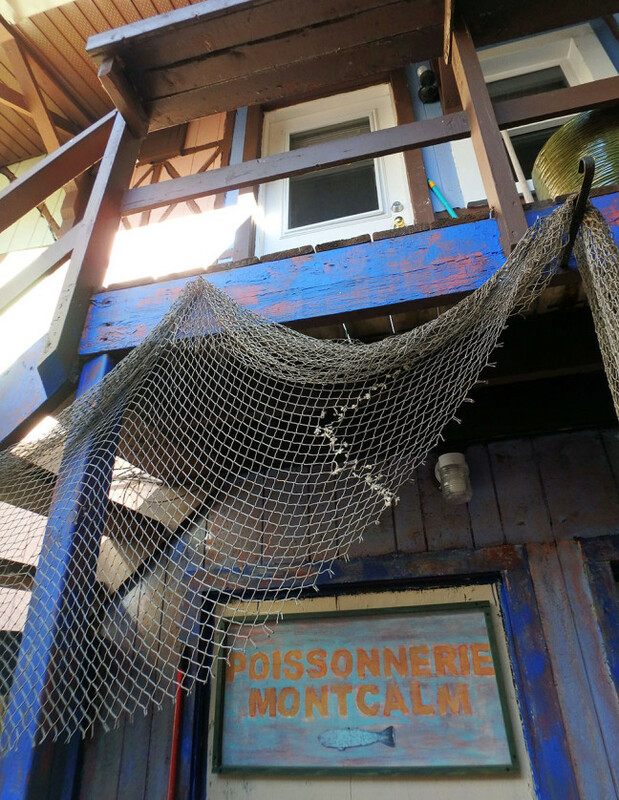 Hung over the banister is a fishing net, and underneath it, a sign that playfully suggests we are in a French city. It is certainly an imaginative space. Dossett hopes to build a snowman in the courtyard for the winter, a real-life model of his first painting of children playing in the snow. He speaks nostalgically that it is important to be reminded of life’s playfulness and innocence. I think he has done much to show us that already. Everyone who works in the alley is a participating artist. Chris Perry was artist on duty the day I went to take photos. Chris has been invited to submit her design to Wildlife Habitat Canada in contention for their newest Canadian stamp. Former winners have included Robert Bateman and Michael Dumas. 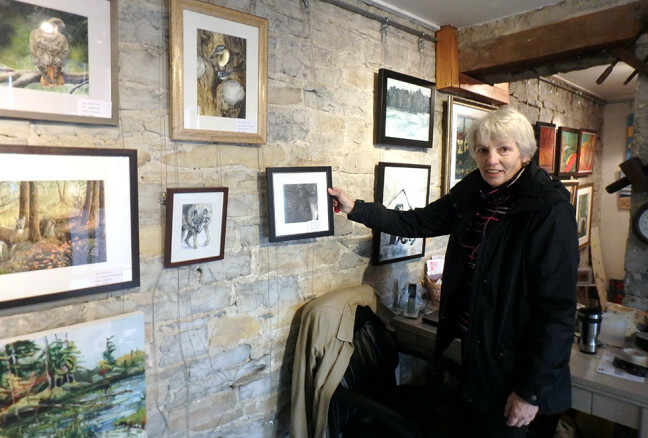 Chris Perry stands with her graphite drawing of a raven, whose curious, intelligent eye draws attention from viewers. Shoppers are often attracted by the works of Tully (Michael Pearson), whose iconic images of Kingston are sold here at an affordable price. All of the art here is affordable, starting with postcards at $5, prints at $20-25. Original paintings are also sold, at higher prices, while still in an accessible range. I especially enjoyed the works of Todd Tremeer, whose peaceful paintings of nature give a sense of awe and presence. His style is like the group of seven, with large brushstrokes and natural tones fleshed in an impressionistic way. Many eyes are drawn to his depiction of a canoe, with the horizon tilted just slightly to give a sense of movement. 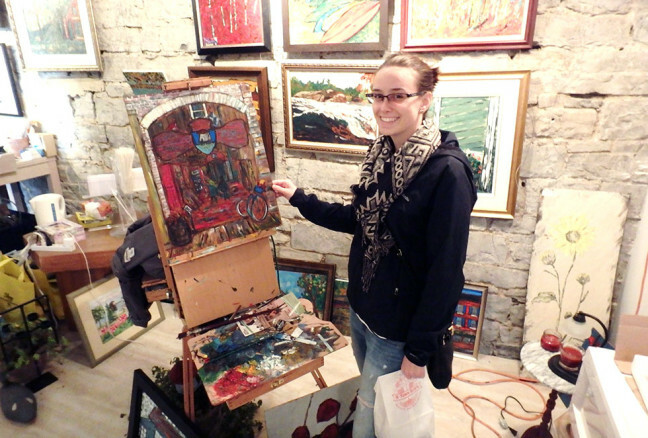 Queens student Elizabeth Gibson Crowder stands next to a painting-in-progress by David Dossett. New art and artists are being added all the time, though currently the studio showcases art from David Dossett, M.P. Tully, Chris Perry, Todd Tremeer, J. Gazo-McKim, Lori Kallay, Christine Perry, Ncouture-Lord, June Shepherd, Jeff Gill, Eric Kincaid, Peter Fyfe, Karen Leggo, to name a few. Old limestone walls peek out from behind the hung paintings; the space that was once abandoned finds new life in its function as a gallery. 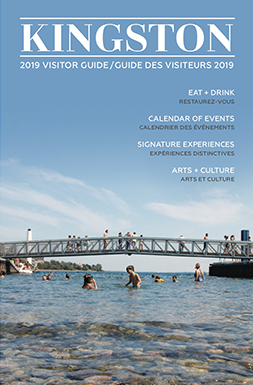 Martello is a mixing place of well-established and up and coming artists. There is space for artists to paint both inside the studio and outside in the courtyard. 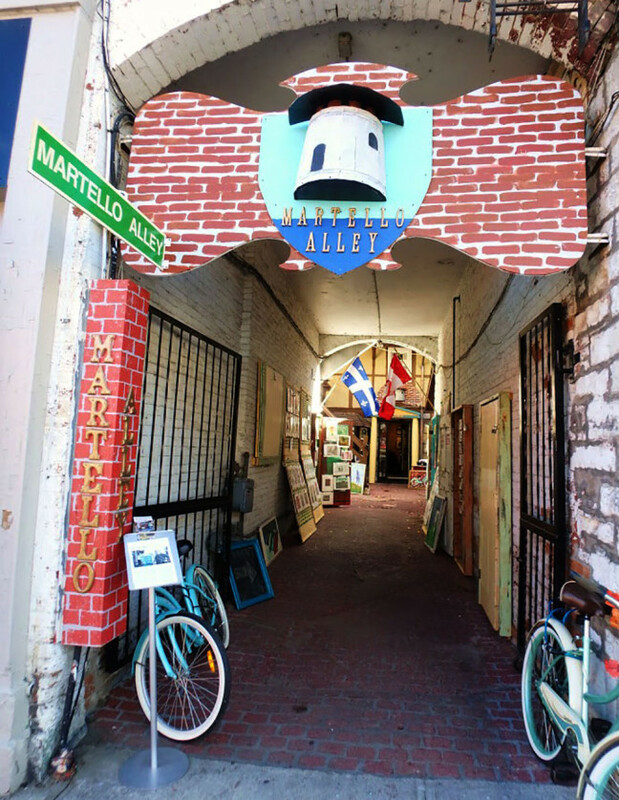 Martello Alley is located at 203 B Wellington, with an artist is on duty from 10:00 am to 5:00 pm daily. 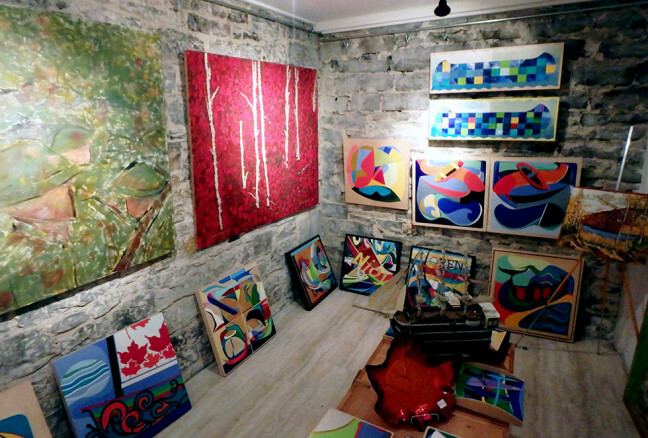 The gallery may also be visited virtually at Martello-alley.myshopify.com.